Mobile applications development scenario has undergone significant changes over the past few years. The popularity of smartphones from Apple, Nokia, RIM and others has set a revolution in mobile phone applications market. There has been dramatic change in the way people use mobile phones and other handheld devices. These tiny gadgets now provide them with a vast array of services including location search, m-commerce, entertainment, social networking, asset tracking, and what not. 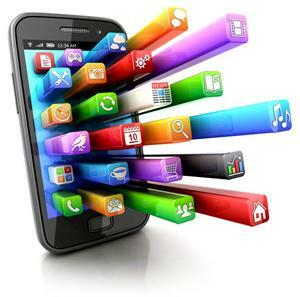 There are different mobile applications development platforms. Some of these platforms support devices from different manufacturers, whereas others are designed exclusively for a single manufacturer. For example, J2ME Mobile Applications, Symbian OS, Google Android, Windows Mobile application platform and Palm OS are some of the leading mobile application development platforms that support devices from multiple manufacturers. They are available for both CDMA and GSM phones from popular manufacturers like Nokia, Motorola, Siemens, LG, NFC, and the like. On the other hand, mobile applications platforms like iPhone OS and Blackberry are company-specific mobile applications platforms. SAMware specialises in mobile technologies for diverse development environments like Windows Mobile application development, J2ME mobile application development on Nokia, Samsung, and LG phones, Android application development, and iPhone application development. 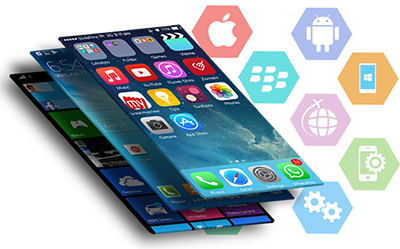 Our mobile application development specialists have gained expertise on diverse platforms including Symbian OS, Palm OS, J2ME, Google Android, iPhone Mobile, and Windows Mobile among others. SAMware designs custom mobile applications for both enterprise customers and individual users. We also have expertise in wireless technology to develop mobile location based services (LBS) and GPS-based applications on different platforms. SAMware is an offshore software development company offering custom mobile application development outsourcing service to clients worldwide. We have earned good reputation in the industry by delivering high-quality solutions at affordable cost. Our software engineers have the expertise in all of the latest software development technologies, so we are able to provide you with the most advanced applications. LBS- and GPS-based Windows Mobile application. Mobile Payment solutions and m-Commerce. Business tools such as inventory tracking, work order management, etc. SAMware offers expert iPhone applications development on all of their software development kits like iPhone SDK 2.2 , iPhone SDK 2.2.1 and iPhone SDK 3.0 beta 2. We develop various business applications, multimedia applications, Internet applications, GPS based applications, entertainment applications, gaming applications, and various utility applications for iPhone. We also develop third-party applications for social networking sites like Twitter, Facebook, Google Map, etc., using open-source application programming interface (API). The company offers expert service in porting applications from one platform to the other (for example, Windows Mobile to iPhone, BlackBerry to iPhone, Symbian to iPhone, and the like).